Over the past semester, the MS Design Team has been prototyping Seesaw as a way to enhance student engagement by allowing them to respond to tasks in a variety of ways. 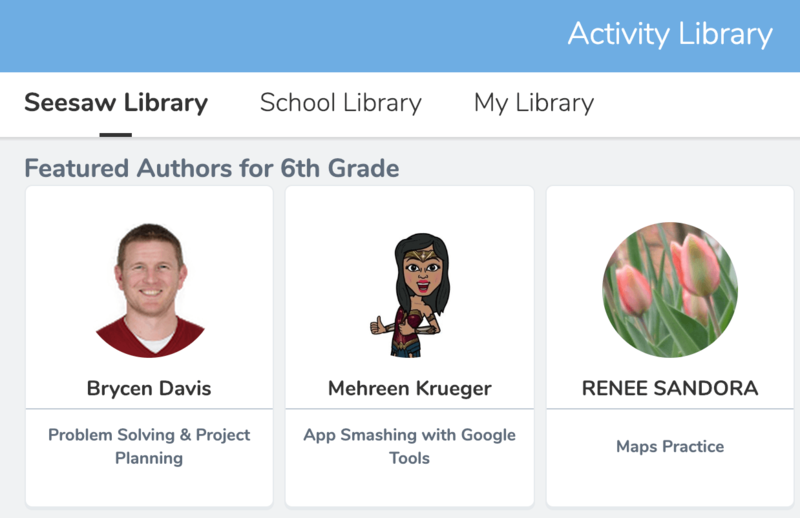 Whether students posted a video reflection, a link to some written research, or images of their products with an audio recording about the steps taken in their process…the benefits of using Seesaw were apparent. In addition, parents seemed to enjoy the ability Seesaw has given them to see what their child is doing in the classroom immediately through the use of the mobile app. The likes and comments from both students and parents have dramatically increased our ability to give peer feedback and parent support. One added highlight of this endeavor was that our MS Design Teacher and Curriculum Leader was recently selected as a Featured Author on the Seesaw platform. 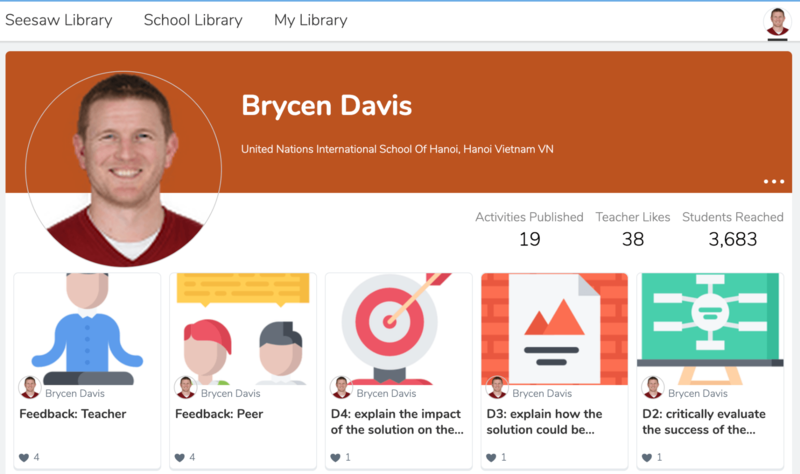 Brycen Davis’ MYP Design activities can now been seen and copied by teachers from around the world! As a result, in less than one month, over 3,500 students have participated in the formative and summative activities he has published.